Claire joined the BWK Faculty in July 2016 as a Summer Camp Lead Teacher. In the Fall of 2016, she began as the Assistant Teacher in the Cherry Blossoms Classroom. Prior to coming to BWK, Claire was an Assistant Teacher at Wildflower Preschool and Blue Sky Kindergarten, where she was also the After Care Teacher. 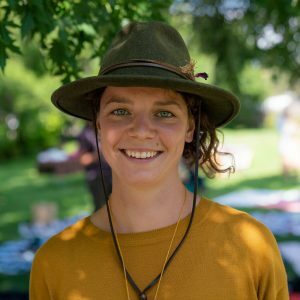 Claire has worked with children of all ages over the years and has also served as a Farm Intern in Paonia, Colorado and a Camp Counselor in Allenspark, Colorado. Claire received her B.S. in Biology and Aquatic Ecology from Queen’s University in Ontario. She completed her LifeWays training in May 2016. Claire carries a deep sense of love and wonder for the natural world. She enjoys sharing her wonder with children.